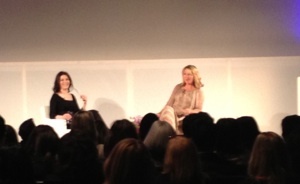 One of the highlights of The Vogue Festival was Kirsty Young’s interview with Nigella Lawson. I’ve seen the lovely Nigella in person on two previous occasions and met her once at a book signing, and the thing that always strikes me is how consistently natural and relaxed she is. Witty and self-deprecating, she was the perfect choice to discuss what had to be an emotive topic, ‘Women & Food’. As she took to the stage wearing a black dress, black hose and some fabulous short red boots, it was impossible not to notice that Nigella has lost weight. She’s still lovely and curvy, but there is definitely much less of her. Refusing to take much credit for the weight loss, she said that she really hasn’t been eating any differently. “I have just had less opportunity to eat,” she smiled. Nigella also put it down to bunion surgery on her foot making it impossible for her to walk to the fridge for a few weeks. “You can ask someone to pass you a slice of cake but it’s a bit embarrassing to ask them to pass you a second slice!” Nigella also does Pilates and works with a personal trainer. 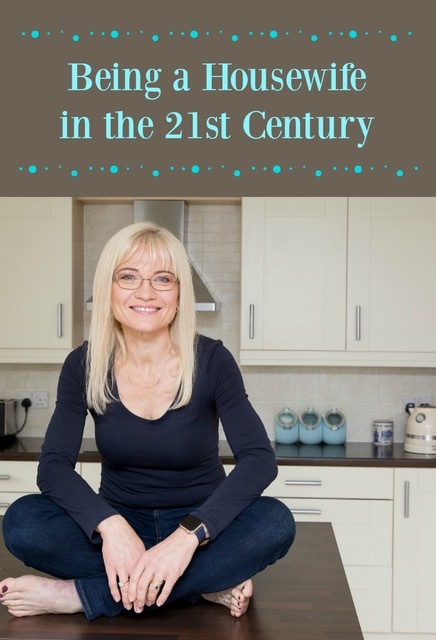 She stressed her belief that “thin doesn’t always equal healthy”, and talked about her late mother who was a wonderful cook but “had various eating disorders”. It is Nigella’s opinion (and I totally agree) that “Denial makes women have such a difficult relationship with food – thinking that you don’t deserve it. You have to think that you deserve to eat something good“. “As long as food is real food and not processed, it’s healthy,” Nigella continued. Describing comfort eating as enjoying a treat that has pleasant associations or reminds you of someone – such as the piece of coffee and walnut cake that brings fond memories of her late Grandmother – Nigella feels that eating too much of something and then feeling bad about it was often discomfort eating. This seemed to strike a chord with the audience. Her statement that “I’ve had more dinners than I’m going to have so I don’t like to waste the pleasure of eating” was a refreshingly candid and thought-provoking take on eating mindfully. Nigella said that she likes to know what she is going to eat for the next few meals, and tends to “panic if I don’t have supplies”. Her inspiration for her recipes? “What I want to eat.” Throughout the interview, her zest for life and food really shone through. When Kirsty Young asked her how many cookbooks she owned, Nigella admitted to “about 4,300 – there may be a few more”. While she is inspired by cookbooks, she likes to put her own spin on everything. “Until people invent new ingredients there are no new recipes,” she said. I am certain I was not the only writer of a blog to hope that mine might be one she looks at when she said “I can be reading food blogs on my iPad for hours at night”. When asked by an audience member what her favourite dish was, Nigella said she found it hard to choose but that she loves her mother’s Praised Chicken and makes it often. Sadly the time went by too fast and there were many hands still up when Kirsty Young reluctantly said it was time for the last audience question. Asked what room she considered to be the heart of her home, Nigella, who is in the process of purchasing a new home, did not hesitate a second before replying. “My new home is a kitchen – with a few rooms round it,” she smiled. 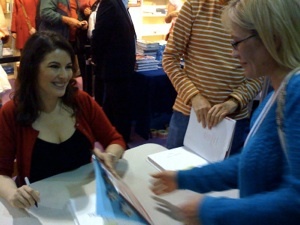 You can find out more about Nigella, her recipes and cookbooks on her website. Check outKitchen Witter (aka her blog) and take part in the monthly Cookalong. You can also follow Nigella on Facebook and Twitter.